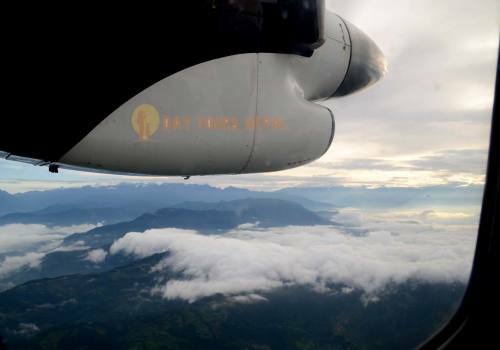 There was once a time when Kathmandu was called the city of Gods and Goddess because there were nearly as many statues and temples than people and houses. It’s been decades since this time. 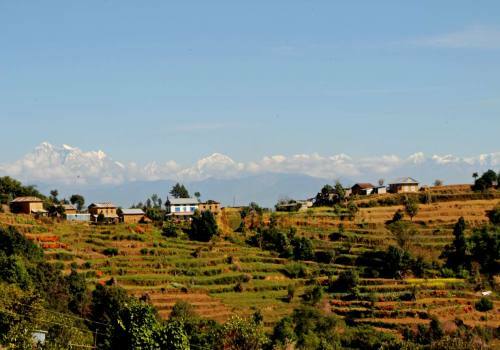 However, the Kathmandu valley is still a spiritually and culturally rich city. The city of Kathmandu is full of historically significant pagoda-style temples and venerable stupas from the medieval era. Visiting some of these places, you might feel as if you’ve stepped back in time 500 years. 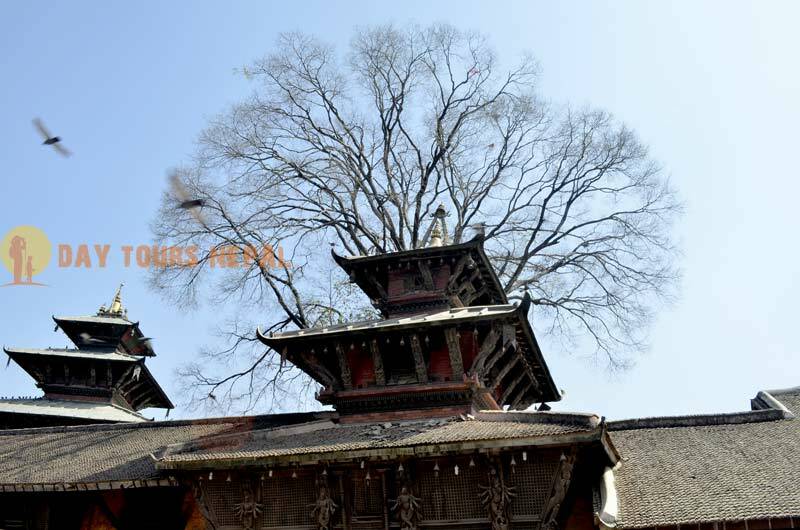 In those days, Kathmandu was known as Kantipur, and it is said that people were living behind the walls of these temples. The interesting thing is still today, we can see the relatively unchanged lifestyle, cultures, and fascinating festivals of the local people. 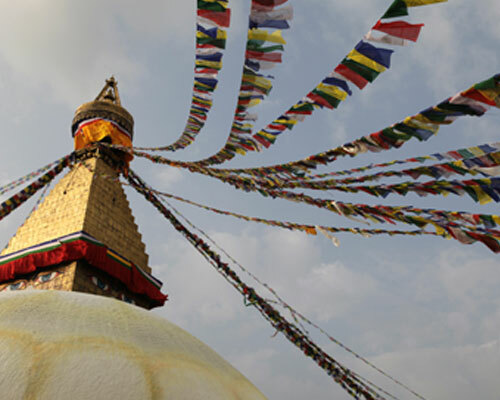 Many different kinds of festivals are celebrated every year in Kathmandu. With a little luck (or proper planning), you will able to see one of these colorful, exciting festive celebrations. 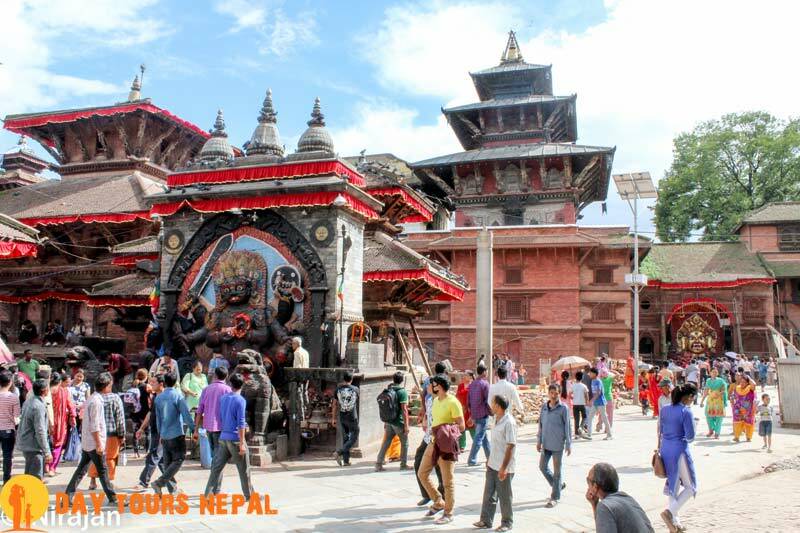 Especially in Kathmandu Durbar Square, it seems as if every few days there is a different ritual celebration. 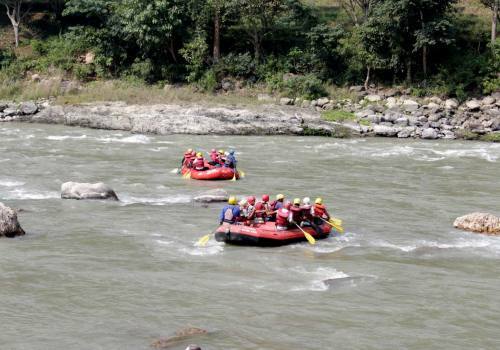 It is a highly energetic place for those people who can feel the energy. 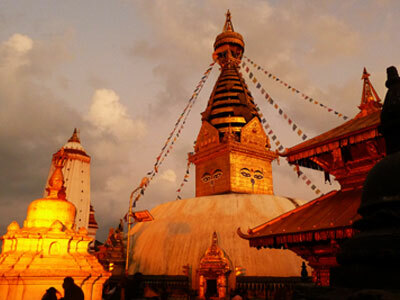 Our Kathmandu City Tour package includes some of the major places in one day which are listed on World’s UNESCO heritage sites. 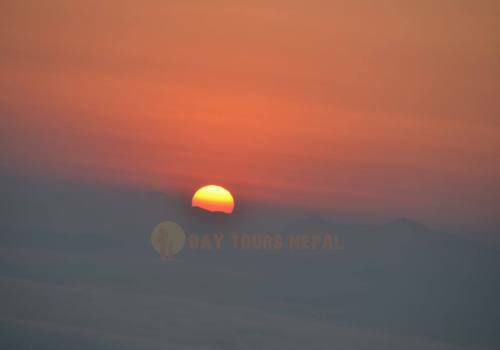 Day Tours Nepal is a premier day trip planner in Nepal. 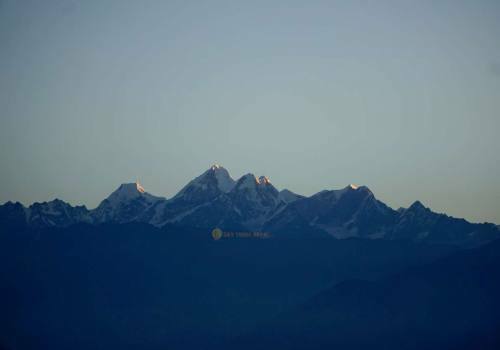 We are here to not only show you the things written in all tourist guide books, but we go beyond and share in-depth stories of these heritage sites, and new memorable experiences with you. 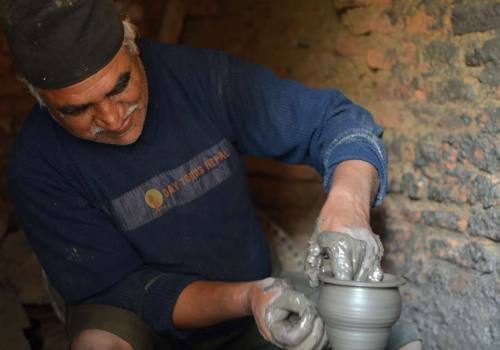 The trip is guided by our professional tour guides who take you to four UNESCO listed World Heritage Sites. 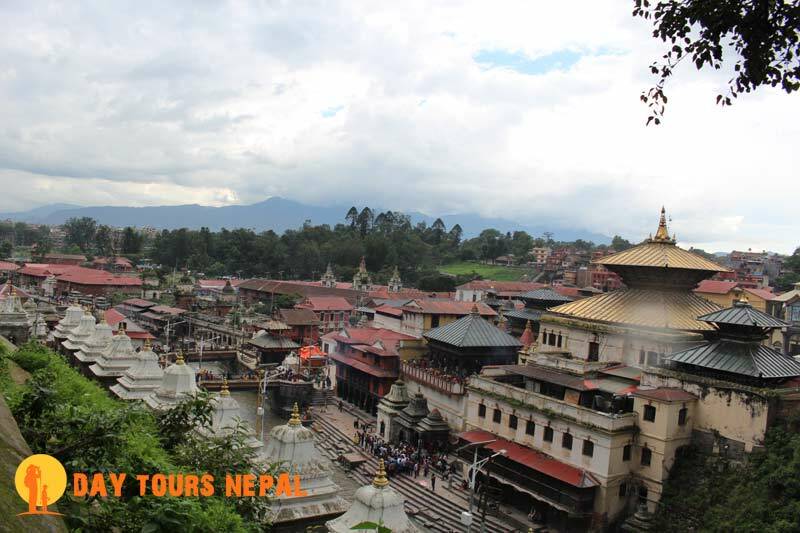 The sites include: Swayambhunath Temple, Boudhanath Stupa, Pashupatinath Temple, and Kathmandu Durbar Square. All the monumental sites are culturally significant and thousands of devotees pay their homage each year during pilgrimage tours. 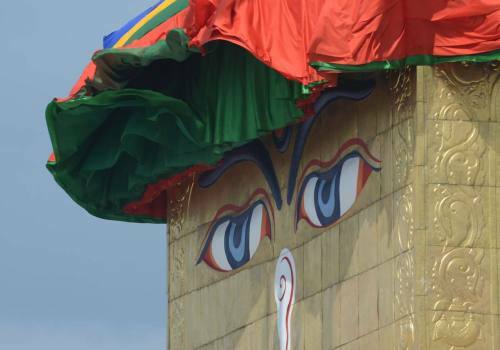 Swayambunath Temple is full of rich symbolism and is one of the oldest religious sites in Nepal. 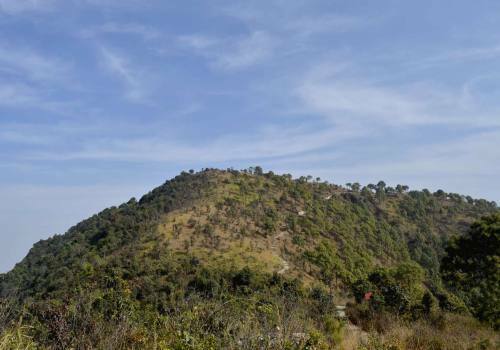 The temple offers an incredible panoramic view of Kathmandu. 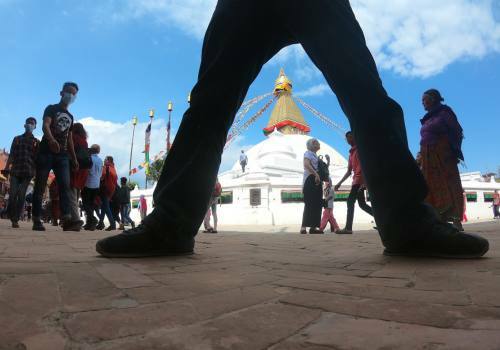 Boudhanath Stupa is one of the largest Buddhist shrines in the world. 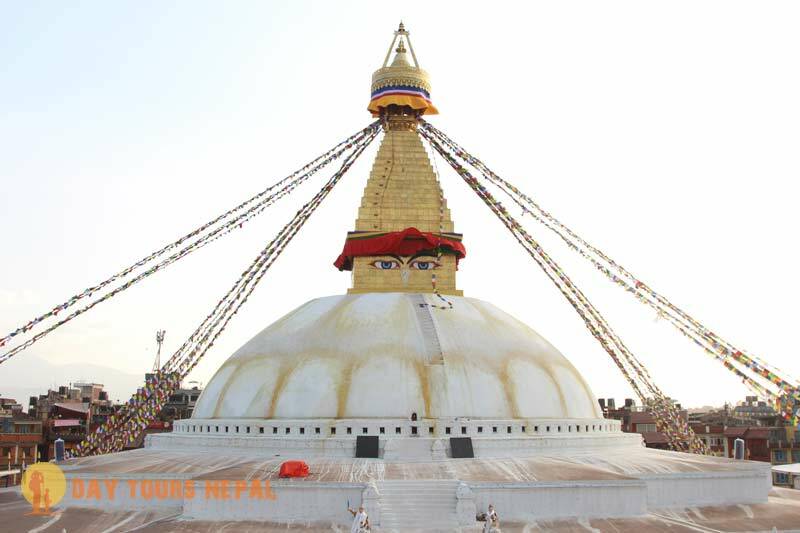 Here we can see monks and devotees circumnavigating the stupa. Pashupatinath Temple is the most famous Hindu temple in the country, located on the banks of the Bagmati River. You can see sadhus (holy men) meditating and pilgrims wandering around while funeral pyres burn. 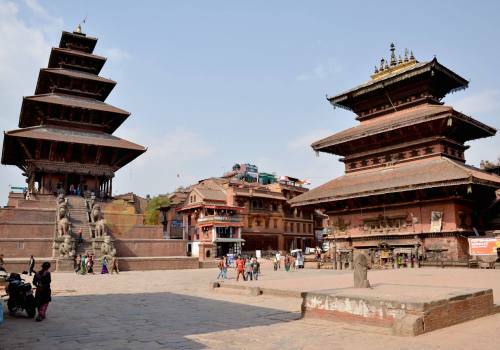 Kathmandu Durbar Square is an old palace of the former Kathmandu Kingdom. It is one of three Durbar Squares in the Kathmandu Valley. 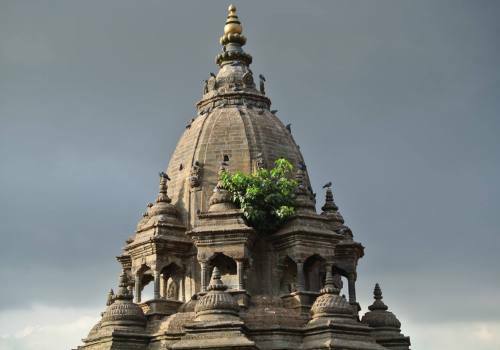 The living Goddess, Kumari, live just next to the palace where our guides will take you to see her. 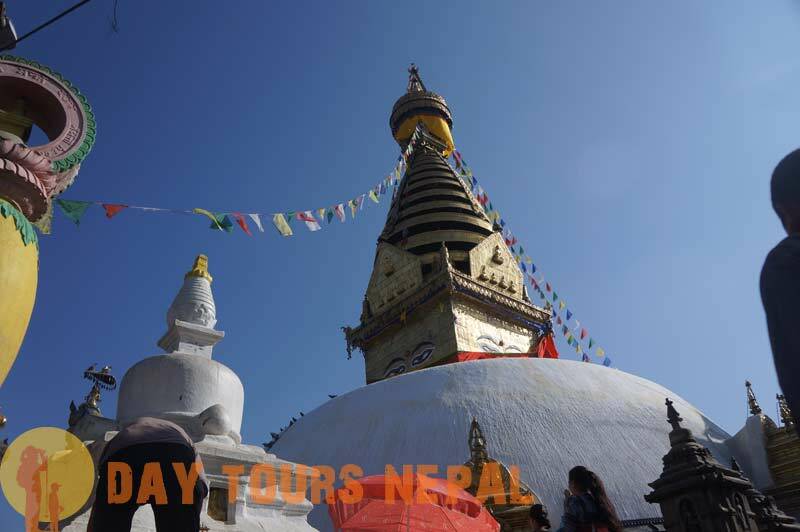 These sights of old stone and wooden sculptures, statues of deities, pagoda style shrines, and mandala formed stupas all are inspiring and not to be missed on your day trip around Kathmandu! Kathmandu Durbar Square Monkey Temple, Boudhanath Stupa, and Pashupatinath. 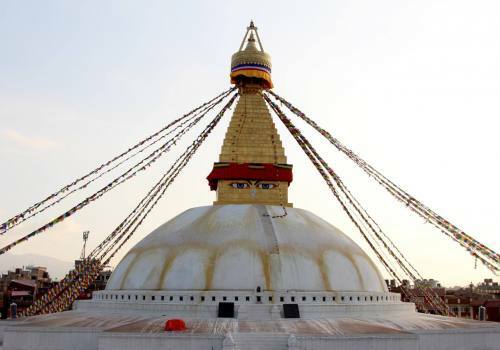 Buddhist Heritage sites (Boudhanath, Swoyambhunath (Monkey Temple). Information besides of Guide books. Day 01:Kathmandu 1 day City Tour. 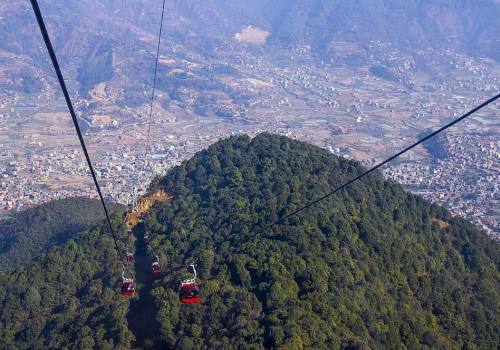 Kathmandu city tour sightseeing starts at 9;00 am in the morning. Our guide and vehicle come to your hotel to pick up. Normally 5-6 hours visit and drop you at your hotel. Entrance fees to enter the monuments. Check the weather before may need an umbrella, sunscreen. Wear shoes for comfortable walking (easy walking while touring around). Carry small bills with you for water, and meals. Don't pat dogs some might be aggressive.